Randy Aoyama focuses his practice in business litigation with particular emphasis in commercial litigation, product liability defense, construction defect, transportation law and personal injury defense. 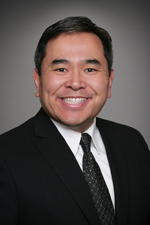 Mr. Aoyama has devoted his practice to defense litigation for more than a decade. He has advocated for clients and defended against claims of product liability, construction defect, medical malpractice, and has focused a substantial portion of his practice to commercial and business litigation. In addition, Mr. Aoyama provides strategic planning, counsel and advice on high-exposure litigation matters. Prior to joining Hinshaw & Culbertson LLP in March 2014, Mr. Aoyama was a partner in a defense litigation firm in Phoenix. He began his legal career with a firm in Seattle, Washington, where he gained litigation experience before moving to Phoenix, where he continued to expand his defense practice. Mr. Aoyama was in-house counsel for an international truck and trailer rental company before re-entering private practice in 2008. During law school, Mr. Aoyama spent a year with the Ninth Circuit Pro Se Appellate Project, where he successfully represented a client on appeal. His law school accomplishments also included externship and clerkships with the Northwest Defenders Criminal Defense Internship, the Unemployment Law Clinic and Student Legal Services. Mr. Aoyama participated in moot court competitions and was a member of the Asian Pacific American Law Students Association. He also served as a peer advisor.